So you are wondering where Minnesota stands when it comes to gold exploration and the history of gold finds in the “Land of 10,000 Lakes”? 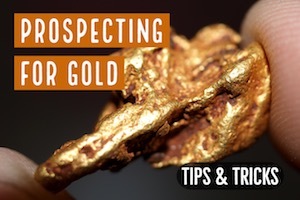 It is one of the more interesting states in the Midwestern part of the country when it comes to gold prospecting, and it has some significant mining history compared to some of its neighboring states. With all that water and favorable rock formations for finding gold, there are still good opportunities to find gold in Minnesota. 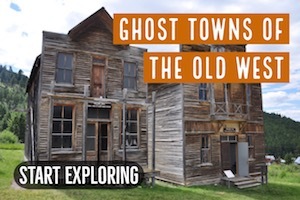 Although Minnesota will never be accused of being a premier gold rush state, it does have some history of a few decent-sized gold discoveries. 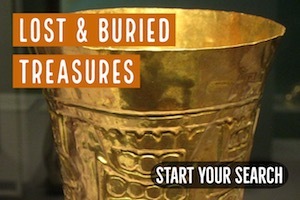 The first placer gold discoveries in the state date all the way back to the 1800’s. 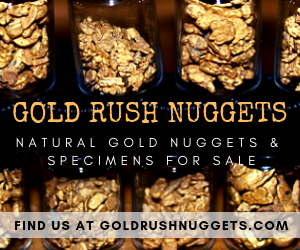 These scattered amounts of placer gold are thought to be brought down from activity that took place during previous ice ages, when ores were ground up and transported south from rich gold regions in Canada. These placer sources have never been rich enough to attract much commercial interest, though prospectors today can successfully find small amounts of gold by panning and other methods. The first short live gold rush took place near Lake Vermilion in 1865 but quickly died out do to the hardship of extracting the gold profitably. Although some of these gold deposits were explored by commercial gold companies for a short time, it didn’t take too long to realize that the ores were not rich enough to be profitably mined, especially using the extraction methods that were available during that time. Another find took place near the Canadian border in the area of Rainy Lake near what is now known as International Falls (Known for being one of the coldest places in America throughout the year). The Rainy Lake find, which took place in 1894, again died out because of the difficulty of making a profit when trying to extract the gold from the ore it was contained in. Until now gold production in Minnesota has always taken a back seat to the huge iron ore production that the state is known for. Experts state they believe that the conditions are not favorable for finding large amounts of gold by panning in streams and rivers, but these same experts also agree that they believe there may be significant gold lodes in the bedrock of the state. So surprisingly, despite all of the lakes, streams and rivers in Minnesota; the consensus is that it is the state’s hard rock sources that hold the best possibility for a significant gold find. 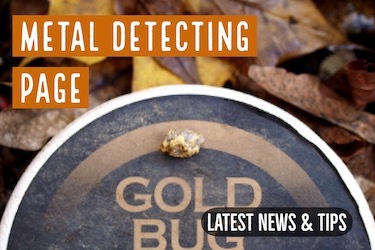 There are a few large gold exploration companies that have spent some big money doing some searching in the state too; that does not happen unless their geologists think the conditions are favorable for finding gold. There may also be the potential for some good finds in the sand and gravel deposits in the state too. Even the state’s Department of Natural Resources has looked into the possibility of identifying sand and gravel deposits that may contain gold. 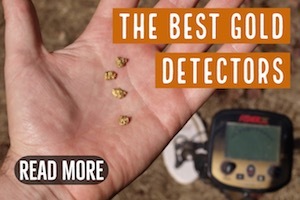 While these are certainly not going to be as rich as many gold bearing areas throughout the Western United States, gold prospectors still enjoy searching for these placer sources of gold. It will be interesting to see what happens in Minnesota in the future with all this talk about potential for finding big gold deposits in the state. So don’t be surprised if finding a big load of gold actually comes to fruition and a significant gold rush ends up taking place in the state, although this time it will be the multi-million dollar mining companies that benefit from the discoveries, as the extraction of these ores will take considerable resources to extract.